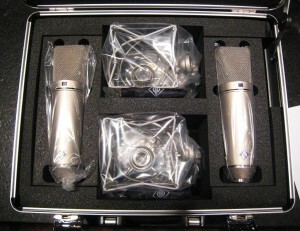 MORE GREAT MICS NOW IN THE HEARSTUDIOS’ CLOSET!! Hearstudios recently acquired a matched pair of Neumann u87ai mics to continue to round out the Neumann selection already on hand. Watch for more top-level mic acquisitions by the end of the year and in early 2014…some super nice additions in the works! The University of Maine Augusta’s Jazz and Contemporary Music Program has some of the best student musicians in New England. 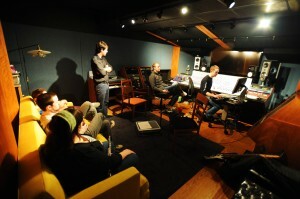 A select group of players visits Hearstudios to record the 2013 UMA“sampler album,” reflecting a broad range of styles, ensembles, and improvisation skills, ranging from R&B to jazz, acoustic folk to solo jazz guitar. The project was initiated by former UMA Music Program Coordinator Dr. Tim Weir and produced and mastered by regionally respected audio pro Noah Cole. 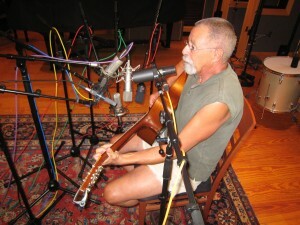 Singer / songwriter Peter Neils (all the way from New Mexico, where he is President of the Los Alamos Study Group) records an album of his traditionally styled, politically astute original tunes at Hearstudios. Bass, acoustic and electric guitar and percussion overdubs next in the production schedule. Thanks for choosing Hearstudios, Peter! Ellen Tipper, premier mid-coast vocalist / pianist / songwriter recorded a selection of her evocative and beautifully executed compositions for the 2013 Rocky Mountain Folks Festival songwriting competition, for which she received Honorable Mention for her piano / vocal composition Infinte Gray. Congratulations Ellen! We look forward to working on the next album project! SURF”S UP!!! SPUTNICK AND THE COSMONAUTS TWANG OUT! What do you get when you mix some crazy fun musicians from around the eastern seaboard, an array of Hearstudios 1960’s vintage guitars and amps, a 24,000 c,f, “spanky” live room, lots of spring reverb tanks, tube vibrato and Strat whang bars??? Ultimate surf tunes… The guys came in for a long weekend to lay down some stylistically accurate “hang ten” tunage – so much fun! Looking forward to the next funk album guys! Vintage wah pedals are at the ready. 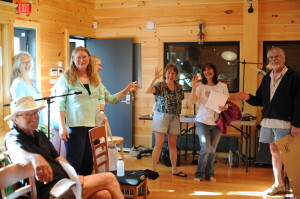 Maine traditional folk music icon Gordon Bok (along with vocal arranger and celebrated Maine acoustic music veteran Anne Dotson) have been in the house as of late, working on some very unique vocal ensemble arrangements of Gordon’s compositions. Heartfelt tunes, lots of wonderful voices, rich harmony, and absolutely super people! 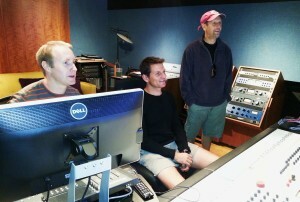 Thanks for selecting Hearstudios for your project, Gordon (along with producer and good friend Hamilton Hall)! Guitarist / singer /composer Adam Gardner from the band Guster recently stopped by for a visit at Hearstudios to check out the live room, Yamaha C7 Grand Piano, and the control room gear selection. Along with Joe Cooper (good friend of studio business manager Bob Thompson), and Jason Hearst (studio owner and chief engineer), the guys auditioned some tracks and twisted a few knobs. 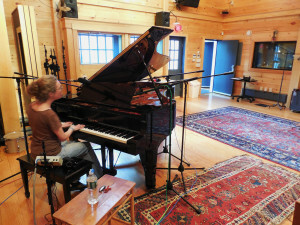 In the photo, a demo of drums in the live room is illustrating various ambient qualities based on different mic placements in the Hearstudios huge live room, from close to a very distant pair located in the studio’s loft area. Then it was off to lunch to talk music, guitars, recording insights and Adam’s cool business called Reverb (managed with his wife..check it out on google!) at a tasty restaurant in town called “Fresh” —- good times! Thanks for coming by to get the “nivkel tour” Adam and Joe. Looking forward to future developments! 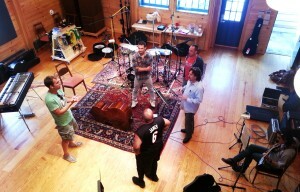 INTERNATIONAL JAZZ COMES TO HEARSTUDIOS! In conjunction with Berklee College of Music and Rockport’s Bay Chamber, Hearstudios hosts the CEC Jazz Group for some sessions recording their original compositions. Super-skilled musicians from Japan, Peru, Ireland, Africa and other far-away locales converged on the studio in a ten- piece jazz tour-de-force, recording some great arrangements in a variety of styles and idioms. Managed by Berklee composition, arranging and production luminaries George Russell and Mike Farquarson, and engineered by Jason Hearst, the combined effort created some perfectly executed and highly original jazz tunes. 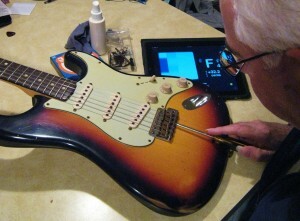 Click on the Hearstudios’ Facebook page to see some rough cell-phone vids of selected sessions. And big thanks to Berklee, Bay Chamber, et. al., for bringing the project to Hearstudios! We look forward to next summer’s events and future large jazz ensemble recording projects.